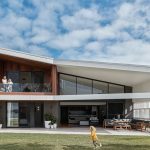 This international award-winning house, designed by dion seminara architecture, has been customised to accommodate every need of a large extended family, now and into the future. 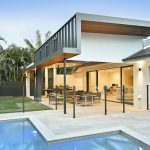 With a large, multi-generational family all living under the one roof – and all the different lifestyle needs that come with it – this client had quite the wishlist when they came to dion seminara architecture to design their lifelong dream home. 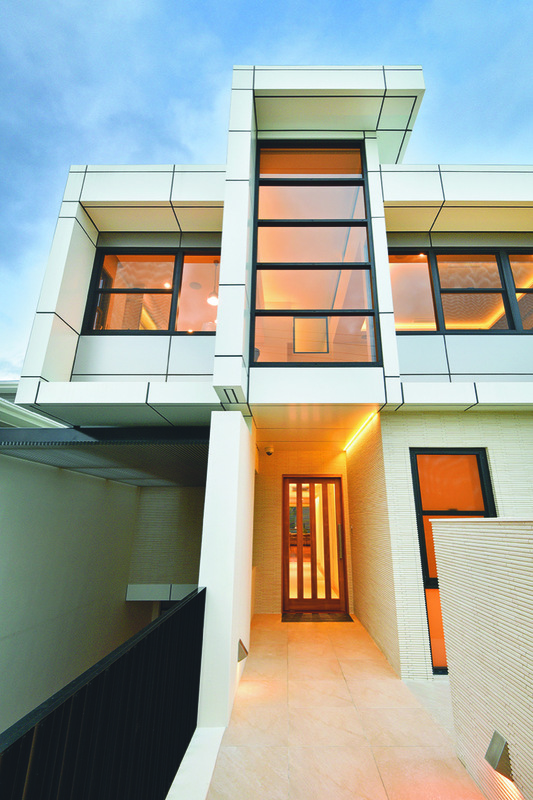 Fortunately, the client also owned the block adjoining the lot upon which the current family home occupied, so they were able to keep the old home that had served them well in the past, but relocate it to the vacant block allowing for a new architecturally designed home to serve the family for several generations, with extended family members also to live at home together with partners and children. Four bedrooms, plus a designated prayer room which could double as a guest bedroom if and when required, were also firmly in the brief. 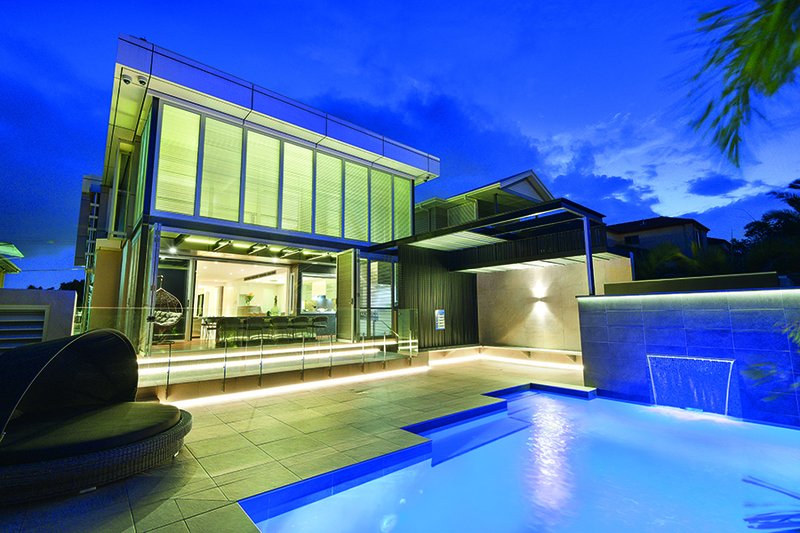 Two separate lounge rooms and a whopping seven bathrooms further accommodate every occupant of the home. A gym, workshop, and elevator to service the home’s three levels, plus basement level parking to accommodate up to six vehicles further extends the luxury and lifestyle needs. Comfort and sustainability was also a high requirement. 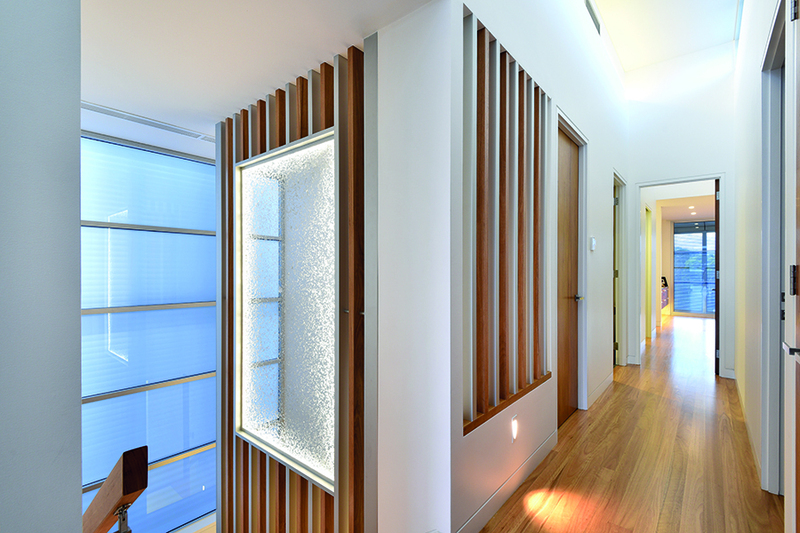 “One of the goals with the architectural design of this unique property was to ensure that passages and pathways were created all the way through the building, from the ground floor to loft,” says Dion. 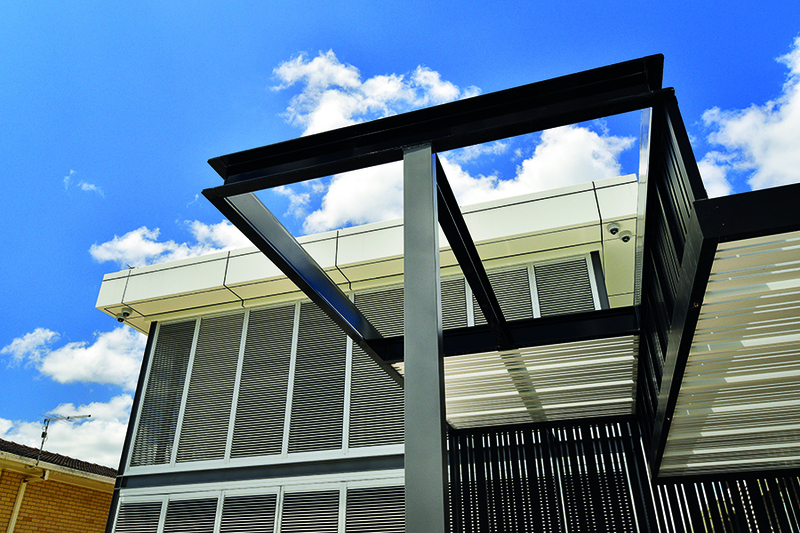 “This was to create a natural, conventional cooling within the home, to reduce the need to switch on the air conditioning system.” The architect’s concept was to have the motorised louvers automated along with the HVAC system; these two cooling methods co-exist and complement each other. 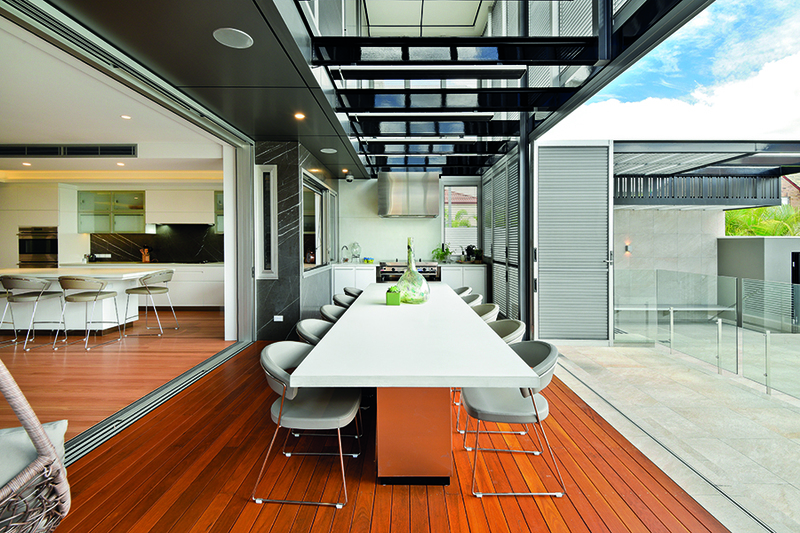 The integrated control system opens and shuts windows, monitors power resources and controls external shading devices throughout the home. 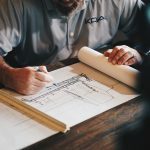 There are also insulation panels on all external walls, floors, and ceilings, water storage, PV solar panels and circulation pumps, ensuring greater energy efficiency across the board. “Also high on the client’s wishlist was security,” says Dion. 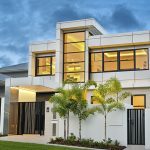 “He wanted to ensure that all family members and guests had simple keyless access to the property at all times, and this system ensures that.” Impressively, this home won the worldwide award for CEDIA: Best Integrated Home 2016, as well as the ArCH International Award for Residential Design Excellence. 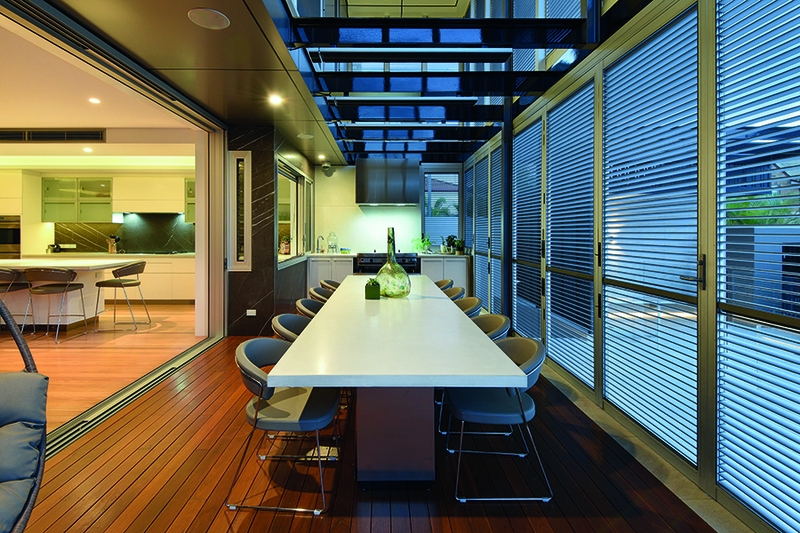 The family loves to entertain and expect up to eight people for dinner each evening, so dion seminara architecture has designed the home’s dining and kitchen zones to flow seamlessly into one another, allowing for an indoor/outdoor connection and two different dining areas to give the family options, including a large, functional indoor-outdoor dining area that is fully enclosed with shutters and flows into the outdoor pool entertaining area. 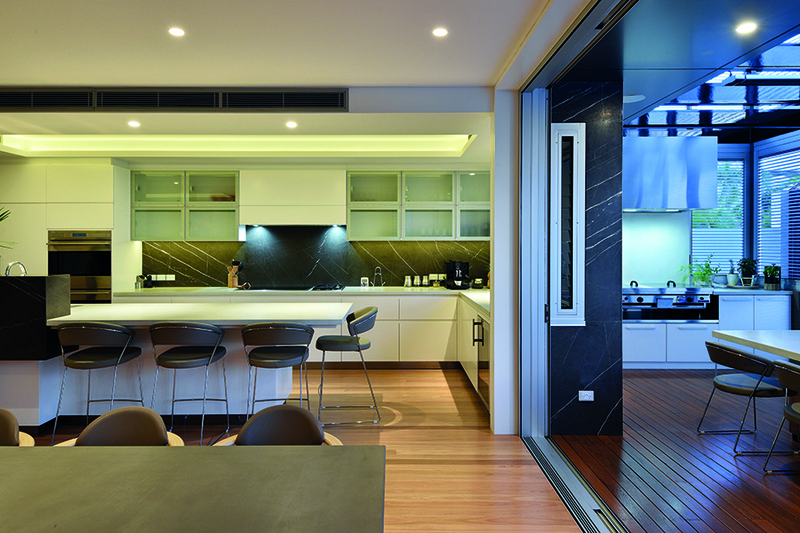 A second kitchen is situated on the second level. 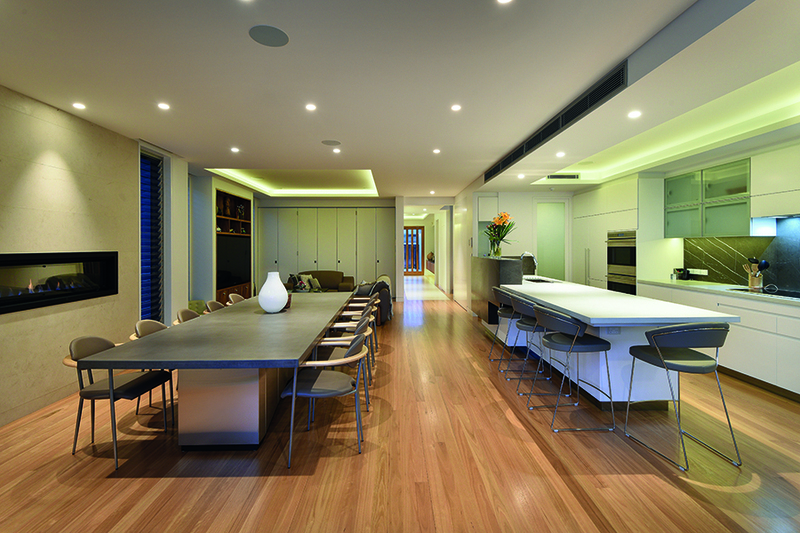 The client’s brief was to create a home that “lives” the way his family does. He envisioned a unique, comfortable, and secure environment for all family members to gather and enjoy. 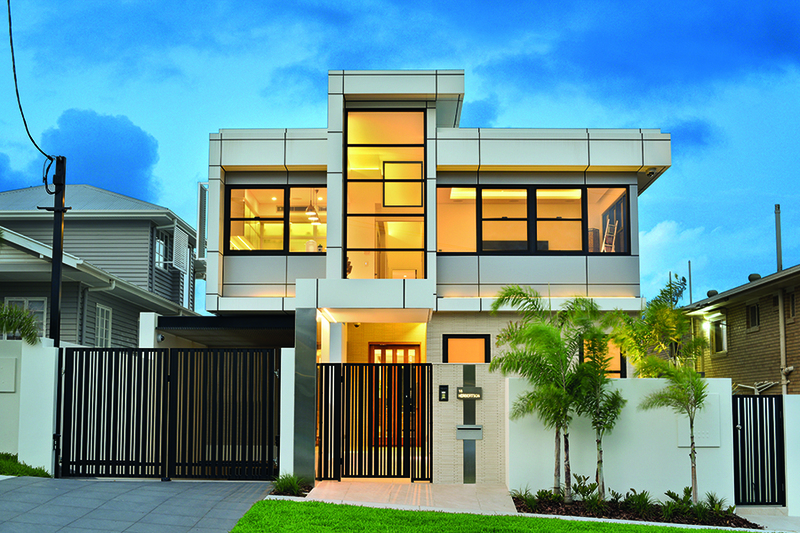 And that’s most certainly what dion seminara architecture has designed here. A home that embraces the needs and wants of every generation.